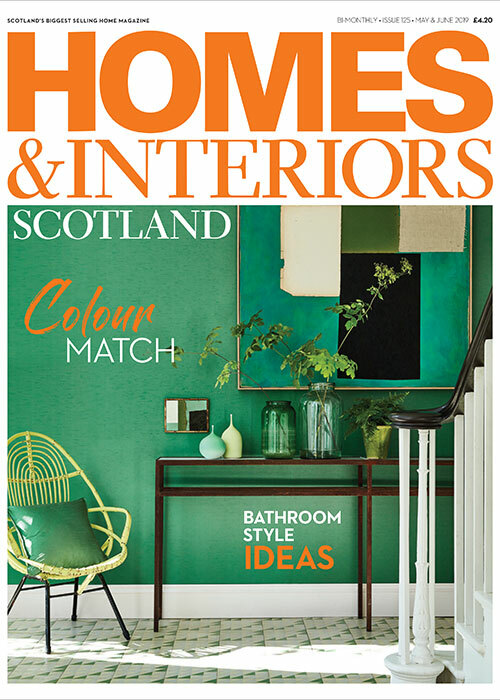 A tiny ‘Garden for Sale’ advert in a local newspaper was the unlikely starting point for a project that has seen not only the restoration of an impressive three-acre garden that once belonged to the National Trust for Scotland, but also the loving revitalisation of the B-listed Millbuies House, which was designed in the 1950s by the architect of London’s Royal Festival Hall. The couple put in an offer and were soon the owners of Millbuies House, along with its gardens, greenhouses, pond, gardener’s cottage and classroom. 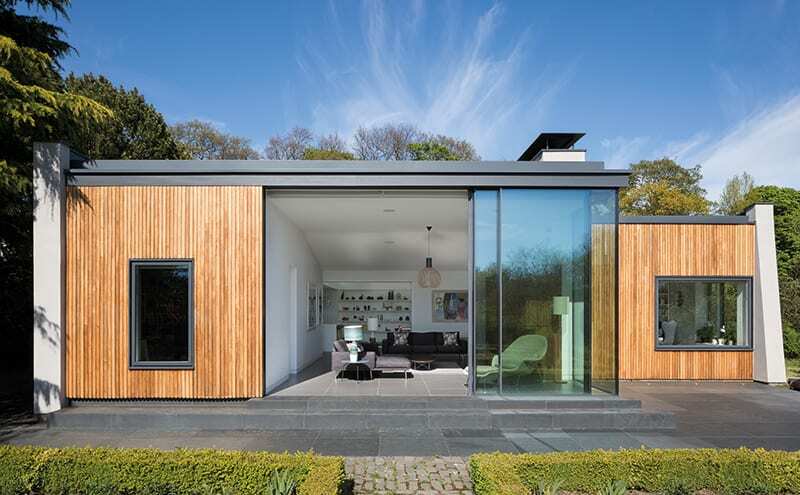 The house, which sits of a sloping site that leads down to the Gogar burn, is the former home of philanthropist and environmentalist George Boyd Anderson, for whom it was designed as an innovative early eco-home in 1957 by Sir Robert Matthew. 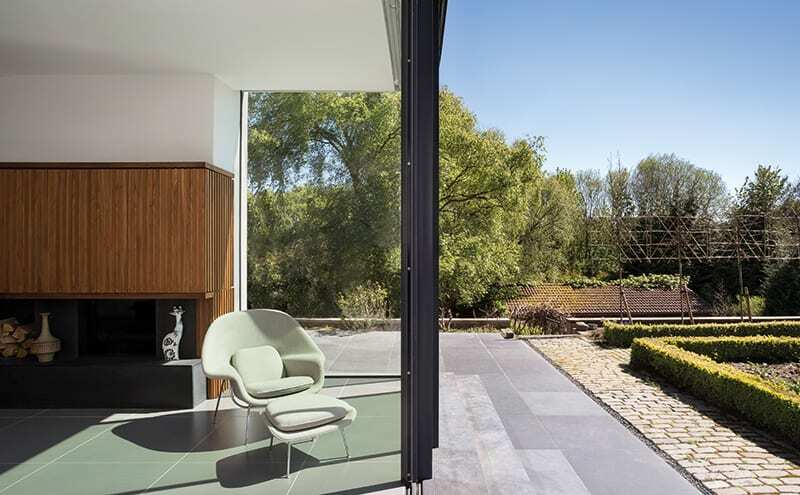 Among the state-of-the-art features suggested by Anderson were areas of triple and quadruple glazing positioned to catch maximum sunlight, underfloor heating, and a sun room and inner courtyard that brought the garden’s greenery into the house. 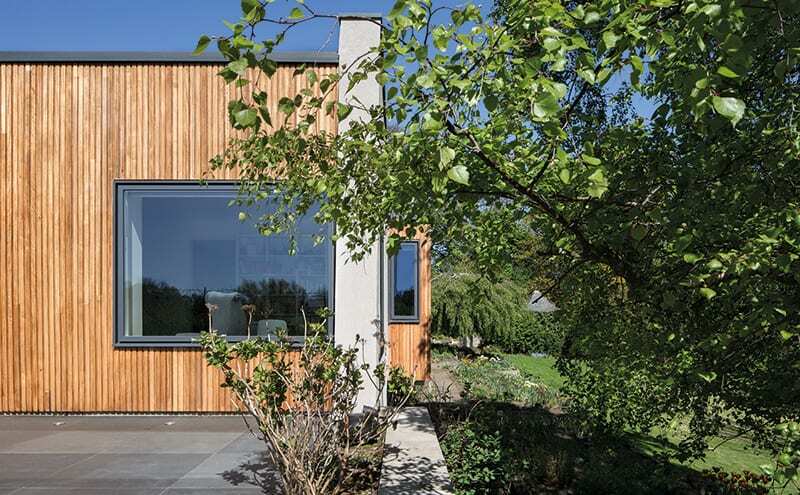 Keen to the retain the Modernist spirit of the original timber-framed house but make it more practical for contemporary life, the couple appointed Glasgow-based specialist practice Cameron Webster Architects to take on the revitalisation project. 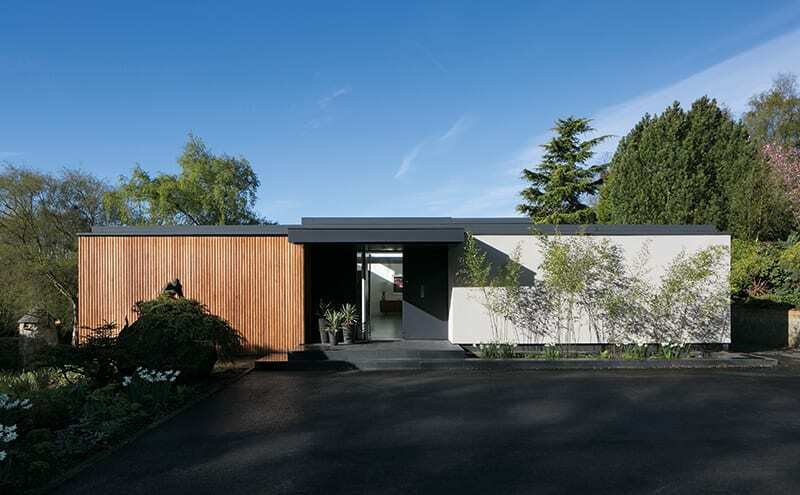 Project architect Peter Harford-Cross recalls the carefully considered approach to the redesign: “Externally, we kept the original timber cladding, which was in very good condition, stripping it back and oiling it,” he says. “We also kept the window openings, apart from in a few places where new ones were made for the updated room layouts. We’d hoped we could keep the roof but it turned out that all the timbers were rotten, so these had to be stripped back and a new roof put on. But we followed the same crisp straight lines of the original building.” The practice also designed the chimney, to service the back-to-back stoves in the library and living room. 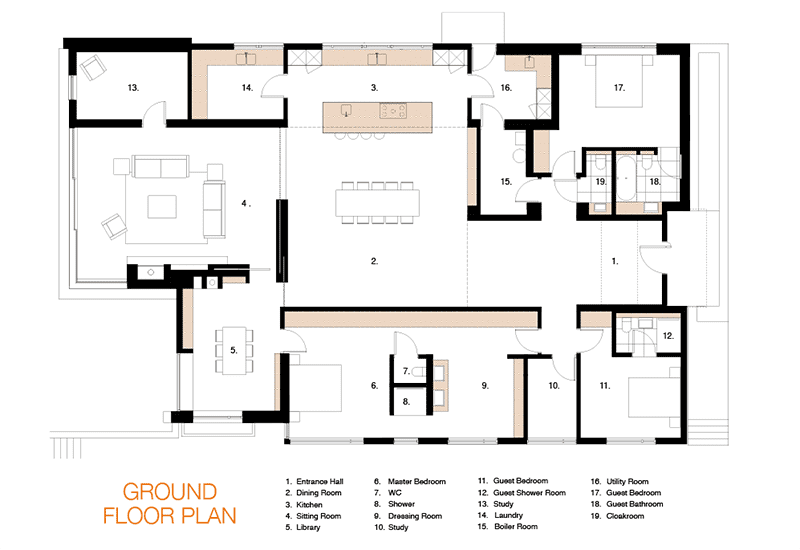 The new layout respects the footprint of the original house, with a few tweaks. 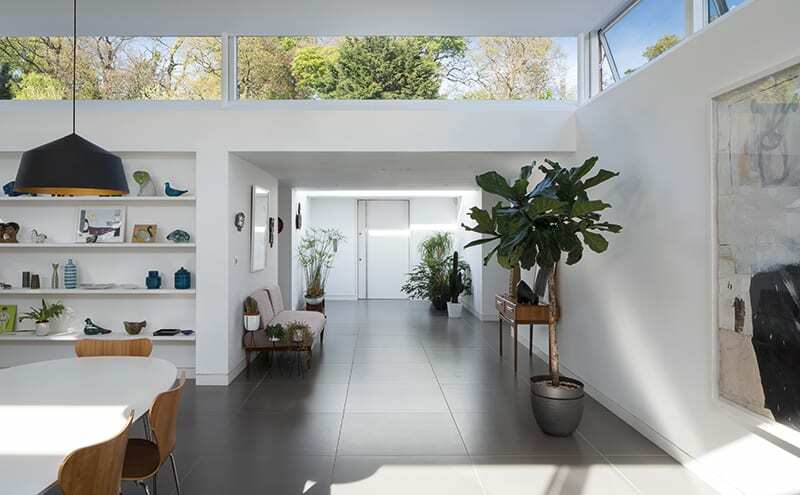 The old carport, for example, has been incorporated into the building and turned into an en-suite bedroom and cloakroom, and the spacious main bedroom was created by combining two smaller rooms. 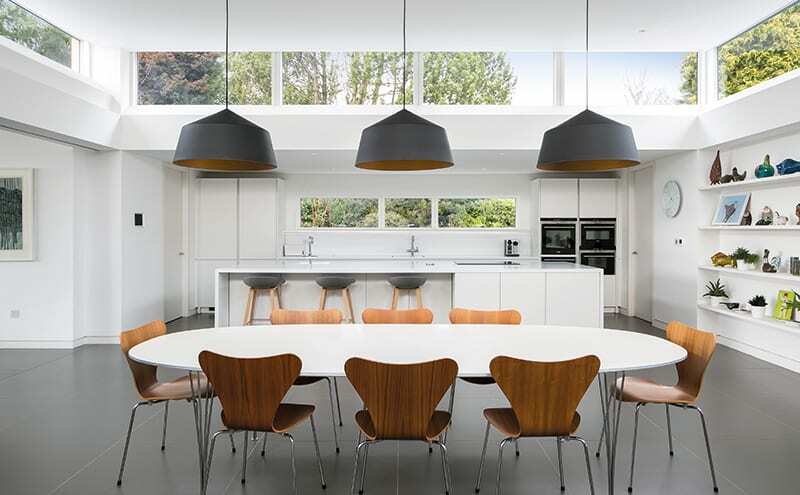 “We also kept the spirit of the original conservatory in the open-plan living room, where the glazed doors can be pulled back to link the garden to the house,” says the architect. Overall, Millbuies now has three bedrooms, four bathrooms, two studies and a library. 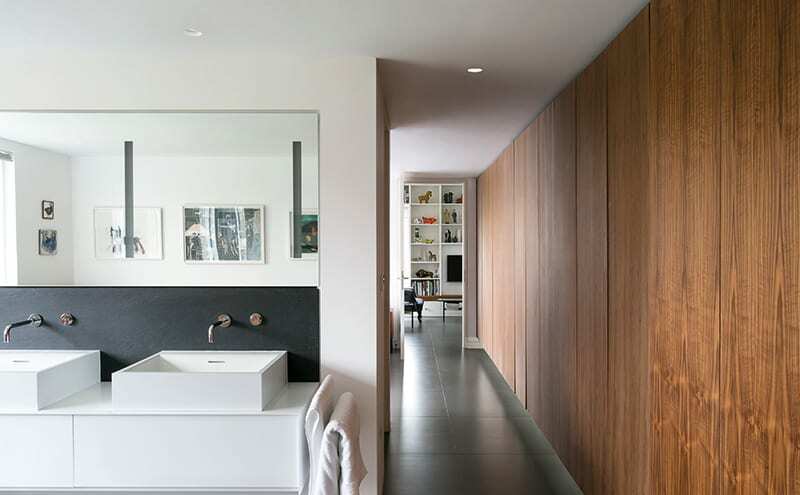 A large TV has been hidden in the living room’s walnut wall panelling, made by joiner Darren McMillan, which has the same width of timber as the external cladding. 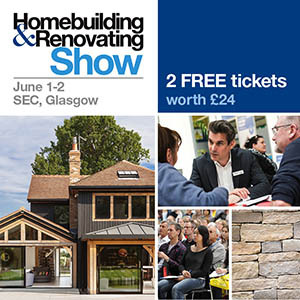 The Home Control Scotland automation system allows everything from the underfloor heating to the sound system to be controlled by an iPad.